This is the next highest level of instructor and is by invitation only. The Senior RKC has displayed a combination of superior teaching skills, leadership and physical abilities with the kettlebell. The Senior RKCs are responsible for teaching and testing at Dragon Door and Pavel's renowned Russian Kettlebell Challenge Instructor certification workshops. The RKC Instructor has demonstrated a high proficiency in the most essential kettlebell drills and shown an ability to effectively teach kettlebell use to others. RKC instructors are required to recertify every two years by attendance at a kettlebell certification workshop, either as a participant or in the role of an assistant instructor. Rate and Review our Certified Russian Kettlebell Instructors! So, your kettlebell instructor is certified as an RKC. That's a very big plus and means you have an excellent chance of receiving top-quality kettlebell instruction. However, customer reviews and ratings of an individual instructor can give you invaluable additional information on whom to choose and why! Help others chose the best kettlebell instructor available by posting your own rating and review of that instructor now. Read our Review Guidelines before posting your review. Visit an individual RKC's page to see their rating and all reviews. The CK-FMS is an RKC who has been certified to teach an additional curriculum based on the integration of RKC kettlebell training and the Functional Movement Screen and Corrective Strategies protocols. But beware, kettlebell instruction requires an extensive background and training to be truly safe and effective. Don't risk injury or waste time with sub-par instruction when you can take advantage of Pavel and Dragon Door's growing, worldwide network of highly qualified RKC certified kettlebell instructors. This certification program is the Certified Kettlebell Functional Movement Specialist (CK-FMS). When you invest in the services of a CK-FMS you can expect to take your athletic performance to a whole new level, as the CK-FMS helps you spot and correct hidden dysfunctions in your bodyï¿½that have been holding you back from realizing your full athletic potential. Rate and Review our CK-FMS Instructors! So, your kettlebell instructor is certified as an CK-FMS. That's a very big plus and means you have an excellent chance of receiving top-quality kettlebell instruction. Visit an individual CK-FMS's page to see their rating and all reviews. Trust the Best! - Get Fast Fitness Results Now, When You Find a HardStyle Kettlebell Instructor (HKC) Near You Today! But beware, kettlebell instruction requires an extensive background and training to be truly safe and effective. Don't risk injury or waste time with sub-par instruction when you can take advantage of Pavel and Dragon Door's growing, worldwide network of highly qualified HKC certified kettlebell instructors. Our HKC kettlebell instructors, as successful graduates of our HKC kettlebell instructor certification program are qualified to teach you the kettlebell movements most essential to realizing your physical goals, be in the area of weight management or athletic performance. When you invest in the services of an HKC you can be confident you are receiving the safest and most effective kettlebell training available today. Rate and Review our HardStyle Kettlebell Instructors! So, your kettlebell instructor is certified as an HKC. That's a very big plus and means you have an excellent chance of receiving top-quality kettlebell instruction. Visit an individual HKC's page to see their rating and all reviews. Do you have limited range of motion in your shoulders? Do you lack coordination? Do you wish to improve the health of your joints? Let a qualified expert guide you to a higher level of athletic performance—with the magic of Indian Clubs. 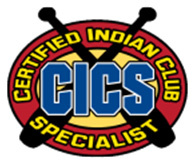 Rate and Review our Certified Indian Club Specialists! So, your kettlebell instructor is certified as an CICS. 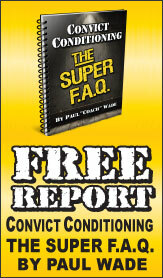 That's a very big plus and means you have an excellent chance of receiving top-quality kettlebell instruction. Visit an individual CICS's page to see their rating and all reviews.